These nice Sterling Silver clip-on earrings are designed and handmade by renowned Navajo artist Tommy Singer. 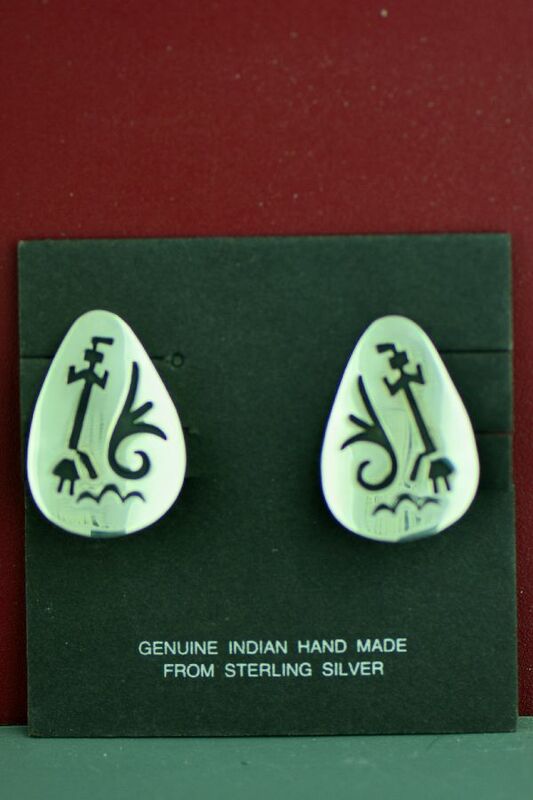 The design on these earrings depicts Water and Yei Be Che Kachina Symbol. Tommy has oxidized part of the sterling silver to give this piece a truly unique look. The earrings measure 1-1/8” tall by 3/4” wide.